Where is it? : Bascombe Well Conservation Park is about 28km SW of Lock on Eyre Peninsula. Property summary: Total area 33430 hectares. Hundred of Barwell – Section 29; Hundred of Blesing – Sections 2, 4, 11-13, Allotment 2 (Deposited Plan 28802), Allotment 100 (Deposited Plan 30376); Hundred of Cowan – Sections 39, 61, 65-67; Hundred of Kappawanta – Section 2. History: On 2 July 1970 Hundred of Barwell – Section 29, Hundred of Blesing – Section 11, Hundred of Kappawanta – Section 2, and Hundred of Cowan – Sections 39 and 65 were proclaimed as Bascombe Well National Park. 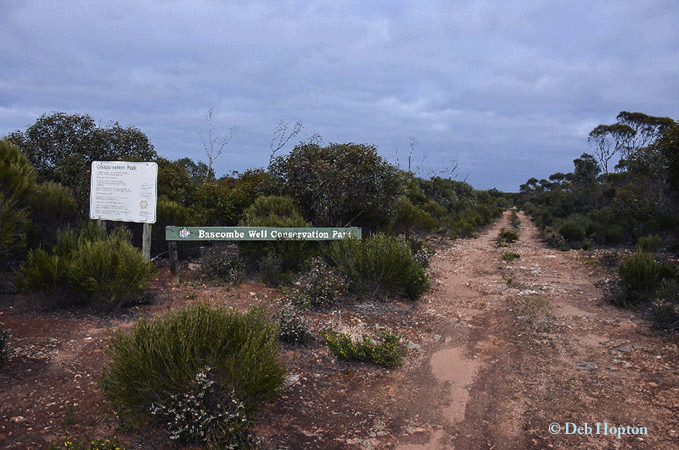 It was re-proclaimed as Bascombe Well Conservation Park on 27 April 1972. Hundred of Cowan – Sections 66 and 67 were added on 26 April 1979. Hundred of Blessing – Sections 4, 12 and 13, Hundred of Cowan – Section 61 were added on 10 January 1980. Hundred of Blesing – Allotment 2 (Deposited Plan 28802), Allotment 100 (Deposited Plan 30376), and Section 2, formerly Bascombe Well Conservation Reserve under the Crown Lands Act 1929, were added to the park on 22 March 2007.